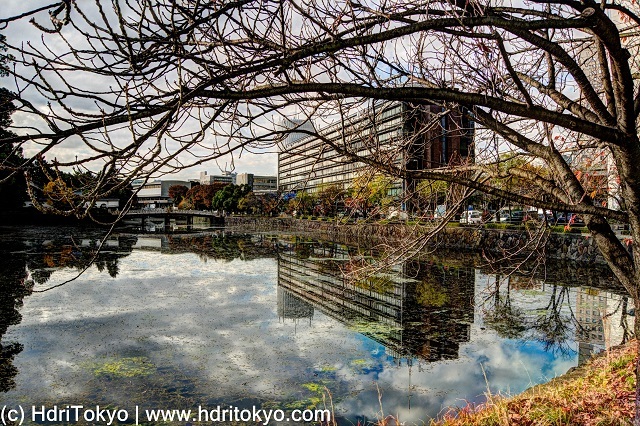 View from a small park named "Ote-bori green park", looking toward Hirakawa bridge. Ote-bori Moat is an inner moat of former Edo castle. Palaceside building is an office building directly linked with Takebashi subway station. 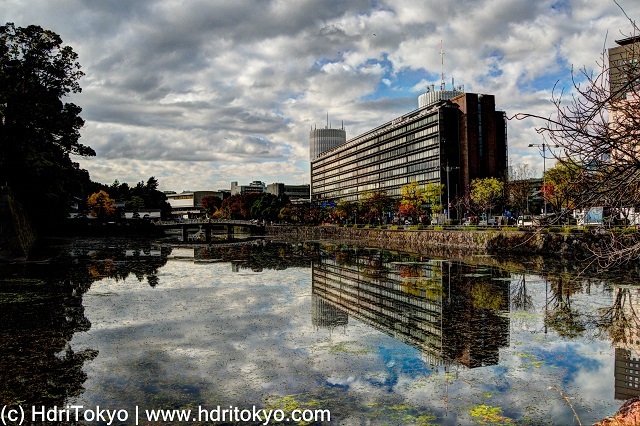 When I visited there, the still water in the moat reflect the building clearly.